Michael Bowman, Board Chair, National Hemp Association, is a fifth-generation native of Colorado. He is a founding member of the Sustainable Biodiesel Alliance, served as a board member of the Colorado Conservation Voters, chaired Colorado’s New Energy Future in 2006 and was co-chair of Governor-elect Bill Ritter’s energy transition team. He served as a steering committee member for Colorado’s Climate Action Plan where he focused on the opportunities for agriculture and Colorado’s rural communities in a low-carbon future. Michael is a graduate of the Colorado Agriculture and Rural Leadership program, was a Next Generation Fellow in Columbia University’s American Assembly and a 2008 recipient of Gamma Sigma Delta’s Significant Achievement in Agricultural Award by Colorado State University. He is a candidate for the Colorado State Senate District 1, the largest geographical district in the state. Larry Flowers, Principal of G4 Wind LLC, where he focuses on state wind conferences, wind outreach, and education. Previously, he served as Deputy Director of Community and Distributed Wind for the American Wind Energy Association (AWEA). Prior to AWEA, he spent 30 years at the National Renewable Energy Laboratory (NREL). As National Technical Director of Wind Powering America, he established state wind working groups, created the Wind for Schools programs, developed high resolution wind resource maps, and established a wind-water-nexus initiative. Prior to WPA, he led programs and projects in international village power, hybrid energy systems, building sciences, thermal systems, and industrial applications. Flowers has degrees in metallurgical engineering and materials science from Lehigh University and an executive MBA from University of Denver. Jan Hartke, Senior Advisor at the Clinton Climate Initiative, has worked on global environmental issues, including climate change, for twenty-five years. He has served as President of the Global Tomorrow Coalition, Executive-Director of EarthVoice, and on the Board of Directors of a wide variety of organizations, including the Enterprise for the Americas as an appointee of President Clinton. Prior to working in the NGO movement, Hartke served as the elected State Treasurer of New Mexico, Chief Public Defender for the State, and Director of the Governor’s Washington D.C. Office. He received his law degree from the University of Virginia and his degree in international relations from Brown University. Robert Lavia is Chairman and CEO of Dakia Global, LLC, an international management holding company with a focus on germinating and holding Impact Investments that deliver robust profitability. Dakia Global has a unique ability to bring together some of the world’s leading brands in hospitality, tourism, energy, technology, infrastructure, and capital while ensuring the target market is the beneficiary of significant and quantifiable economic, social and climate impact. Projects in active stages are located in Mexico, Haiti, Cuba, Colombia, and United States with interest in excess of $1.25 Billion. Project brands include Marriott Vacation Club, Sunwing Travel, Hyatt Hotels, MGM, and others. Prior to Dakia Global, Lavia served as Chief Investment Officer for Veremonte, a London based investment Management Company, with over $1.0 Billion AUM at peak. Amory Lovins, is the Chairman and Chief Scientist of Rocky Mountain Institute (RMI) and the Chairman Emeritus for Fiberforge Corporation. Lovins was named “One of The 100 Most Influential People in the World,” by Time magazine. Lovins is an American consultant, experimental physicist and 1993 MacArthur Fellow, and has been active at the nexus of energy, resources, economy, environment, development, and security in more than 50 countries for over 40 years. His innovations have been recognized by the Blue Planet, Volvo, Onassis, Nissan, and Mitchell Prizes. Lovins’ clients have included Fortune 500 companies, U.S. states, the U.S. Energy and Defense Departments, and over 100 energy utilities. Lovins has led the technical redesign of over $30 billion worth of industrial facilities to achieve energy savings. He has published 31 books and has taught at eight universities. His latest book is Reinventing Fire. 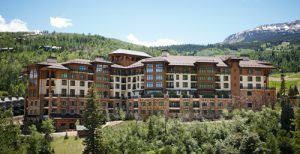 John McBride, is a businessman, rancher and conservationist, who came to Aspen, Colorado in the 1960’s where he helped to develop the Snowmass Ski Area and created the successful Aspen Airport Business Center. He is a rancher and philanthropist with a focus on land management, preservation and conservation. McBride’s longtime focus has been on the nexus of population growth and the consumption of natural resources and has sponsored numerous “State of the World” and “Land Management” conferences and summits. He and his family founded the Sopris Foundation, which supports conservation, environmental stewardship and the preservation of family farms and ranches. John Powers, is the Founder and Board President for Alliance for Sustainable Colorado, a nonprofit formed to keep the planet habitable through collaboration and its LEED Dynamic Plaque certified Alliance Center in Denver, which licenses office and meeting space to sustainability organizations. Powers is driving the conversion of The Alliance Center from alternating to direct current in order to capture, measure and demonstrate the energy efficiency possible through microgrids in commercial building, and accelerate adoption of renewables at utility scale to help meet the goals set in Paris for reductions of greenhouse gas emissions. Powers is a board member of Conservation Colorado and the Educational Foundation of America, and the instigator of the Colorado Funders’ Environmental Affinity Group. Joel Serface is the Co-Founder and Managing Director of Catalyze, an intelligent renewable energy investment platform dedicated to massively scaling renewables globally. Joel has developed more than a gigawatt of renewable energy through Brightman Energy, served as the first Entrepreneur in Residence at NREL with Kleiner Perkins, and has created or invested into more than 20 cleantech companies since 2001.